The $100 down payment incentive is only available to owner occupant buyers that choose to use FHA financing. The property must qualify for FHA financing as an insured property (203), non - insured with escrow repairs (203b) or uninsured - rehabilitation (203k). Investors and Nonprofit organizations do not qualify for this incentive. Properties advertised through HUD's Good Neighbor Next Door program are NOT eligible for this incentive. Contact me for more details on this outstanding opportunity. Angela Barner can represent you - the buyer - in your next real estate transaction. It costs you nothing to employ Angela and her RE/MAX Unlimited team of real estate buyer representatives. 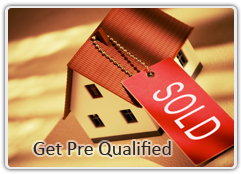 From first look to financing, when you're ready to buy a home in the Atlanta and surrounding counties' areas, call us. Angela Barner specializes in Bartow, Carroll, Cherokee, Cobb, Douglas, Haralson, Paulding and Polk counties. A Certified Distressed Property Expert® is a real estate professional with specific understanding of the complex issues confronting the real estate industry, and the foreclosure avoidance options available to homeowners. Through comprehensive training and experience, CDPEs are able to provide solutions for homeowners facing hardships in today's market, specifically short sales. The prospect of foreclosure can be financially and emotionally devastating, and often homeowners proceed without guidance of any kind. The best course of action for a homeowner in distress is to speak with a well-informed, licensed real estate professional. 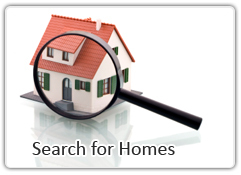 They have the tools needed to help homeowners find the best solution for their situation. Often, when other options have been exhausted, CDPEs can help homeowners avoid foreclosure through the efficient execution of a short sale. While enduring financial difficulties the process of finding a qualified real estate professional should not be stressful or challenging. Selecting an agent with the CDPE Designation ensures you are dealing with a professional trained to address your specific needs. For more information contact me by clicking here.